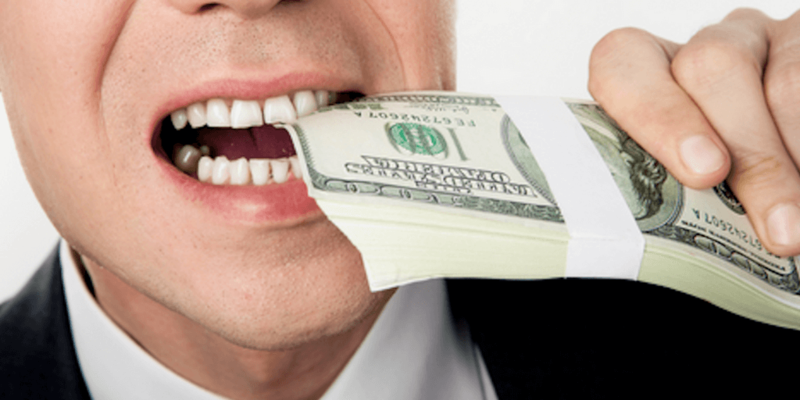 Lionshare Partners > Blog > Is Dental Insurance a Scam? The decision as to whether you need a dental treatment is often in a gray area. One dentist will say one thing, one will say another. This is normal, and it’s to be expected. But it means that the usual signs of insurance fraud – a practitioner prescribing more procedures than his or her colleagues – are more difficult to detect, because there’s more variation, and it’s more difficult to really pin down a procedure as unnecessary. You need medical insurance, if only to protect against the cost of an accident or illness so expensive that you could be ruined financially. But do you really need dental insurance? It’s an interesting question, because you can avoid the most likely causes and expenses of dental problems, decay and gum disease, by brushing and flossing your teeth diligently. Several studies have shown that visiting the dentist twice a year doesn’t deliver notable benefits compared with one exam a year. But some teeth are more prone to problems, and when they have a problem, the costs can mount quickly. On average, Americans pay about $360 a year, or between $15 and $50 a month, for dental insurance. Costs will vary depending on your state. Most plans come with a maximum annual benefit or coverage limit. This limit usually falls between $1,000 and $2,000 person (a figure which hasn’t changed since the 1970s). Adjusted for inflation, dental insurance plans should be paying out between $4,000-8,000 a year by now, according to MarketWatch.com. Unlike medical insurance, which covers costs after your bills reach the amount of your deductible, dental insurance cuts off coverage after your bills reach the annual limit. With dental insurance you may have a deductible to pay before coverage kicks in. After you’ve met it, your insurance pays a percentage of your dental costs; you pay the remainder, called coinsurance. The coverage stops entirely when the insurance company’s payout reaches that maximum benefit amount. Beyond that, you’ll pay 100% of your costs out of pocket. And the two annual cleanings often “included” in a plan count toward your max. In addition to your benefit being limited to a maximum of about $1,000 to $2,000, you’ll be trading away the potential to pick your dentist of choice (and location) and perhaps negotiating a price, all for the benefit of saving a few hundred dollars. If you plan to get insurance, your best bet is to purchase a policy before, not after, you need major work. Otherwise you could be waiting months (sometimes years) for coverage to begin a procedure. What does a monthly dental premium cover? Preventive care: periodic exams, X-rays and, for some age groups, sealants — 100 percent. Basic procedures:office visits, extractions, fillings, root canals (sometimes) and periodontal treatment — 70 percent to 80 percent. Major procedures: crowns, bridges, inlays, dentures and sometimes implants and root canals — 50 percent or less. While many dental policies focus on preventive measures by offering two annual visits, you’ll really start seeing the savings with more expensive treatments, like root canals and crowns. What types of dental insurance plans can you choose from? The typical dental plan falls into one of three categories. This plan allows you to pick a dental provider and your plan pays a percentage of the provider’s fee. Pros: These plans let you choose from the widest variety of providers. The deductible (the amount you pay for procedures before insurance coverage kicks in) may be lower than other plans. The annual maximum coverage limit may be higher. Cons: The premiums (what you pay monthly) tend to be higher than other plans. You’ll be paying your share of service costs up front. This plan is best if: You have a certain dental provider you want to see, or you anticipate needing major, costly procedures. With a PPO, you pay lower fees to see certain in-network or “preferred” providers. Pros: The insurance network pays more than they might with an indemnity plan or HMO plan. You aren’t required to see in-network providers, but you save money when you do. Cons: You’ll pay more if you see a provider out of the network. PPO plans often come with a maximum amount they’ll reimburse in a calendar year. Some procedures may not be covered or have a waiting period before coverage starts. This plan is best if: You don’t need major dental work right away, but want to be prepared in case you need it in the future. You’d like some flexibility in your choice of dental providers but don’t want to pay high premiums. With an HMO, you’re required to see dental providers in the insurance network. Pros: Preventive services—cleanings and X-rays—will be 100 percent covered, while basic procedures come with a co-pay. You may not have a deductible or maximum annual limit and premium payments will likely be lower. Cons: Major or restorative procedures may come with less than 50 percent coverage or no coverage at all. You won’t have a large choice of providers. This plan is best if: You don’t anticipate needing any major dental procedures in the near future. You have no provider preferences as long as basic dental work is covered financially. If you already have a dental provider you trust, see which plan their office recommends. Most plans won’t immediately cover pre-existing conditions or reimburse for major procedures completed before you got insurance. When in doubt, ask what’s covered and when. Keep in mind there’s always a possibility you may need a procedure you don’t anticipate—and it may not be covered by your policy. The higher your premium, the more likely you are to have coverage for more extensive work. Your dentist will often tell you (or you can ask) which procedures you’re likely to need down the line. Insurance plans put perverse incentives in place for in-network dentists. When dentists become part of these networks, they agree to extremely low reimbursements for cleanings and exams, in exchange for a steady stream of patients. To make up for it, some dentists will perform procedures that have a significant patient portion or heavily promote cosmetic work as being necessary. Often, it works like this: A dentist will agree to be “in-network” in exchange for a steady stream of patients from the insurance company. They get paid by the insurance company “by the head” instead of according to how much treatment they actually provide. If the insurance company agrees to send the dentist 12,000 patients per month, and the dentist gets $8 per head per month (this is called a capitation plan) then that’s $96,000 per month, regardless of what their costs are. See the problem? So the incentive is to pocket as much of the cash as possible by reducing overhead. To reduce overhead, they’ll push off work that needs to be done in their patients and then promote treatments that aren’t covered by insurance. With perverse incentives like these, how much is that in-network dentist or that free cleaning actually costing you and your family — both money-wise and health-wise? What questions should you ask before picking a policy? Which dental procedures am I likely to need this year? How much would they cost out of pocket? How much would they cost with insurance? How much will I pay monthly and annually in premiums? How much will I pay for a regular cleaning without insurance? With insurance? What is the maximum annual payout for this insurance policy? Which procedures are covered? How can you save money on dental care without insurance? If you decide to skip dental insurance, you’ll still want to get your teeth cleaned once or twice a year. And you’ll want options if unexpected dental work comes up. Here’s where you can look for care outside of the typical insurance marketplace. You’ll see students whose work is supervised by trained dentists. In exchange, you pay a low cost for appointments, even if you’re uninsured. The ADA lists dental schools across the country; find one near you. Some clinics offer a sliding scale fee based on income, and diagnostic exams may be free. Find a local branch of a national clinic like America’s Dentists Care Foundation, or see what low-cost care options your state and local dental societies have to offer. Dental school and clinic appointments are often in high demand. Be prepared to schedule far in advance or put your name on a waiting list. Even with walk-in clinics, it’s best to call ahead and find out their procedures before you go. It’s easy to confuse dental savings plans (also known as dental discount plans) with dental insurance, but they’re very different. Whether insurance or a discount plan — or some combination of the two — is right for you will depend on how much dental work you and your family get per year and how much you’re paying out of pocket. Discount dental plans or dental savings plans can give you the security of coverage without the cost. You’ll pay an annual fee and get a discount, anywhere from 10 percent to 60 percent, on average dental care prices. Unlike insurance plans, there are no annual caps or waiting periods. With dental discount plans, you enjoy savings at participating dentists by paying the dentist directly for services at a lower price. This is not an insurance plan, so there are no copays or premiums, Before you buy into a plan, look over its list of covered procedures to see if they’re ones you are likely to use. It may be a good option for people who don’t have access to dental insurance or who want services that aren’t covered by insurance. This might include senior citizens who don’t have dental insurance under Medicare or younger people who want discounts on something like teeth whitening, which traditional insurance typically doesn’t cover. You also might think about a dental savings plan if you need dental work that costs more than your dental insurance will pay. (Many dental insurance plans cap their total payout at less than $2,000 a year.) For example, savings of 50% on a couple of root canals that cost $1,000 each would add up quickly. If you have a dentist you like, ask her if she takes part in one and how much you could save with it. If you’re open to new providers, call a few who are in the plan you’re thinking about to see if the savings would be worth it. Thousands of dentists take part in dental savings plans, and you can usually get a member list from the plan’s sponsor. While many reputable companies offer dental savings plans, the industry has attracted some fraudsters. Avoid scams by asking to be mailed information before you make a payment, and say no to high-pressure salespeople. You also can check with the Better Business Bureau or your state’s insurance regulator to see if a company has had complaints made against it. Tooth pain is a great motivator. When you’re in pain, you’re often willing to fork over any sum to find relief. But take steps to make sure you’re paying market rate. First check the Healthcare Blue Book, a respected online tool that provides a fair price for thousands of medical and dental procedures in your ZIP code. And don’t be shy to call around to other dentists in your area to price shop. Ask friends and neighbors for recommendations, and check out any potential dentist with your state’s dental board to ensure he or she is licensed and to find out if any disciplinary action has been taken. Most offer an online search tool.